As a member, enjoy exclusive bonuses! Nintendo Switch Online members can enjoy exclusive products, like Nintendo Entertainment System Controllers for use with NES titles on Nintendo Switch, with more to come. With a Nintendo Switch Online paid membership, you have the option to purchase full-size Nintendo Entertainment System Controllers for Nintendo Switch and play NES games in authentic fashion! This two-pack of wireless controllers offers the perfect way to play classic NES games – solo or with friends, competitively or co-operatively. Form factor: play NES games in authentic fashion – using these classic, full-size controllers. Rechargeable battery: attach the controllers to the Nintendo Switch system to charge them. Two controllers: available as a bundle of two controllers for competitive and co-operative fun. If you purchase a 12-month membership, you'll receive a download code for exclusive Nintendo Switch Online-themed gear in Splatoon 2! 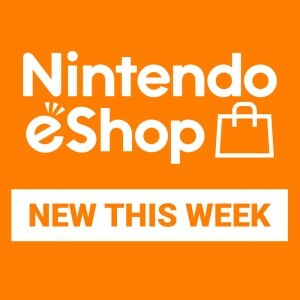 The download code will be sent to the email address associated with your Nintendo Account, starting from October 2018. If the membership was purchased with a child account, the code will be sent to the email address of the parent or guardian. If you purchase a Family Membership, you'll receive eight codes, even if there are fewer than eight Nintendo Accounts registered to the Family Group. 99 players…but only one will remain! TETRIS® 99 is the iconic puzzle game as you’ve never seen it before. Can you pick the right strategy to best 98 other players online – all at the same time?! TETRIS® 99 is available as an exclusive offer for members of the Nintendo Switch Online paid membership service. After all, TETRIS® 99 is all about battling online for Tetrimino-dropping dominance against players around the world! Nintendo Entertainment System Controllers are only available to purchase here, for those with a valid Nintendo Switch Online membership. Orders are limited to one per Nintendo Account. Please note: Nintendo Entertainment System Controllers can only be used while detached from the Nintendo Switch system, and only to play NES – Nintendo Switch Online games. Nintendo Entertainment System Controllers can be charged by attaching to the Nintendo Switch system. You can expand your favourite games with DLC! Super Smash Bros. Ultimate, The Legend of Zelda: Breath of the Wild, Splatoon 2, and more! 2x Gold Points for MAR10 Day! Celebrate with 2x Gold Points on Mario’s adventures on Nintendo Switch!